It’s the mountain that clanked and rattled and almost shut down. The t-bar gears clattered so much you could hear them across the valley. The cement slabs across the Hameshop Brook, the “bridge”, was slowly settling to become a beaver dam accessory. The “groomer,” better suited to smoothing snowmobile trails, labored up and down the hill, coaxed along by Garry George. The snow making was first generation, vintage at best, and when the lights flickered on at dusk, dusky corners held their ground. A dozen years ago this was the question on everybody’s mind: Why keep the little big mountain going? Why indeed. 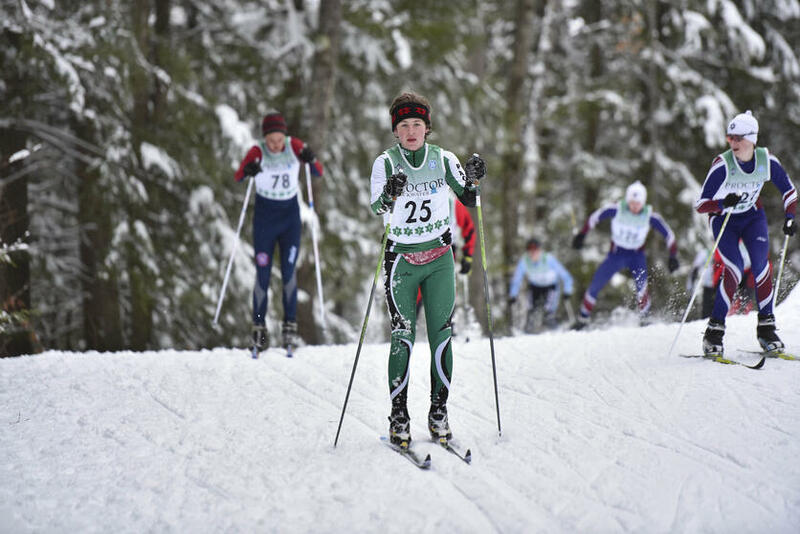 Snow sports have been wrapped into the DNA of Proctor since the beginning, and significant stretches in the school’s history find skiing the only winter sport option. If you didn’t ski, you didn’t go to Proctor. Period. And that went for faculty as well as students. But this deep allegiance to the sliding sports was not enough to warrant the kinds of investment the hill needed. There had to be a bigger mission, a higher purpose to invest in lights, snowmaking pumps and guns, a t-bar upgrade, homologation of trails, and a new snow cat. 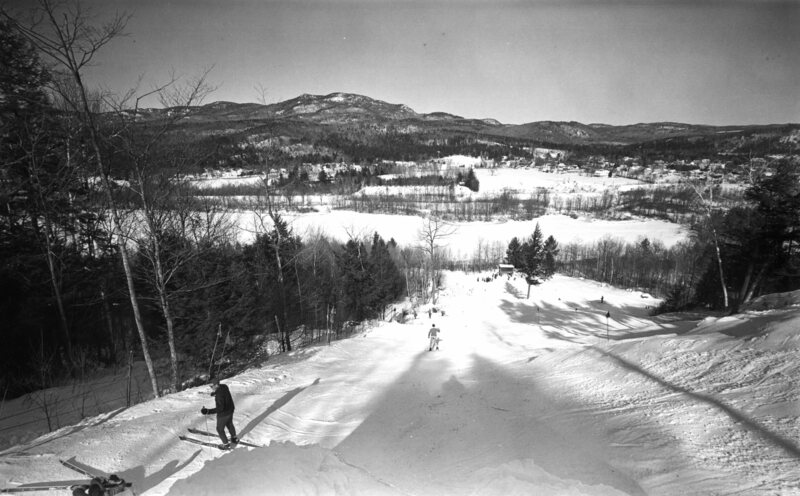 Yes, honoring the history of the school was part of the incentive to build up and restore the facility, but a concomitant desire to give back to community and regional snow sports was also at play. In a big way. 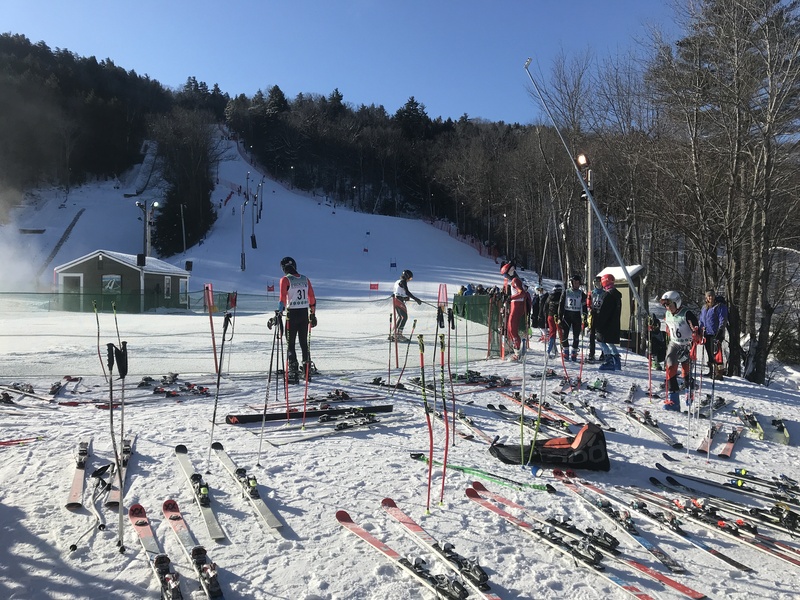 The Dartmouth Ski Team (above) is just one of a number of college teams who are frequent visitors at the Proctor Ski Area to take advantage of what they call the best training conditions in New England. Who comes to the little big mountain? 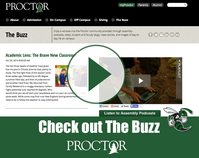 It’s not just Proctor. 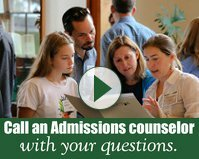 This week alone Harvard University, Middlebury College, and Brown University have all been on the hill. Kearsarge Regional High School was here daily with their Nordic team. Jumping squads from around the state have been rolling up in their buses. A visiting team from USSA, the governing body of ski racing, arrived at the hill for a site visit to help us move through the club certification process: silver certification this year; hopefully gold in the near future. 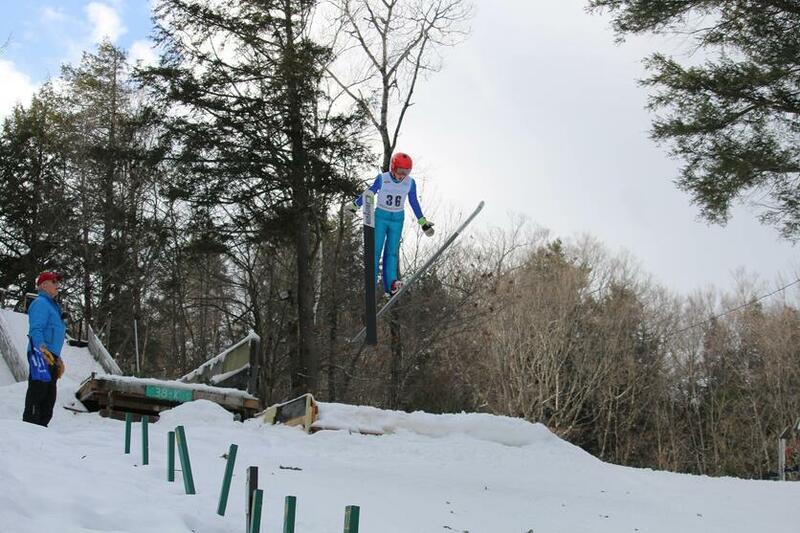 (In the fall, Billy Demong, winner of a Nordic combined gold medal in the 2010 Winter Olympics, helped us assess jumping facilities and ways to give more to regional jumpers.) This little big mountain hosts college carnivals, FIS races, high school Nordic races, jumping meets, and freestyle events. 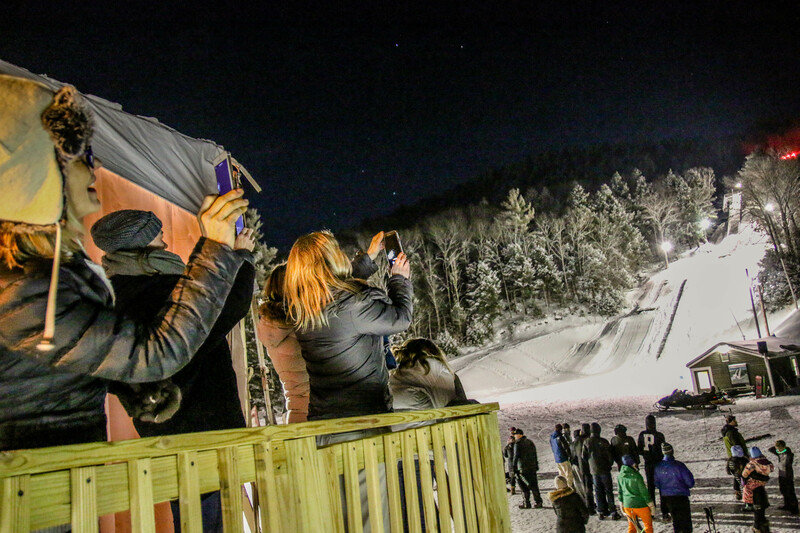 On any given week college vans, high school buses, and Proctor vehicles fill the parkIng lot and skiers who compete against some of the best in the world are mixing with those who are just starting to take flight off the 10M jump. Most winter nights walking from the Brown Dining Commons to Maxwell Savage the lights are on and you can see skiers arcing down the race trail. You hear the thwack of skiers going through a slalom course or the slap of jumping skis as someone sticks a landing off the 38. Those sounds echo across the valley as the lights on the little big mountain blaze up against the winter darkness. 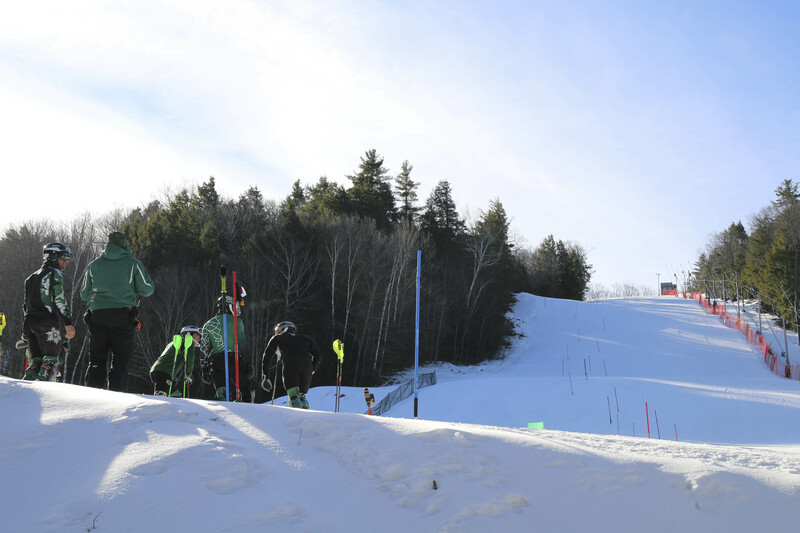 We see Proctor’s little big mountain in Andover every day, but increasingly this hill is seen across the state, the northeast, and the country as a beacon for winter sports, life lessons, and fun. And we like it that way.